On January 20, 2014, Acting Minister for Manpower Tan Chuan-Jin faced the Parliament and denied the accusations that foreign worker abuse is prevalent here in Singapore. Foreign media and civil activists saw the riot that happened on December 8, 2013 the uproar of unsatisfied, abused and exploited foreign workers. If you can remember, there was a riot in Little India that involved four hundred rioters. The angry mob attacked emergency response cars and law enforcers. The government handled the riot well. The forces quickly contained the situation. After the restoration of order, the government put its attention in Little India and launched a temporary bill (called Public Order Bill) that gives law enforcement officers the power to search, review and ban individuals. The bill also gives officers authority to cancel and suspend licenses. In the Parliament, Acting Minister for Manpower Tan mentioned a survey conducted by the ministry. In 2011, his ministry steered a survey that seeks to find the satisfaction of foreign workers here in Singapore. About 90% of 500 S-Pass holders and 3000 work permit holders were satisfied and contented with their work. In fact, 80% of the respondents desired to continue working. 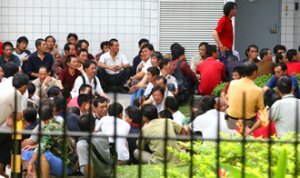 It was mentioned earlier that foreign media and civil activists saw the riot as an uproar of foreign workers. The government is clear that the contributing cause to the riot was alcohol consumption not abuse, exploitation and other things. Tan also stressed that from January-November 2013, the ministry assisted more than 7000 foreign workers having difficulties with their permits or passes. 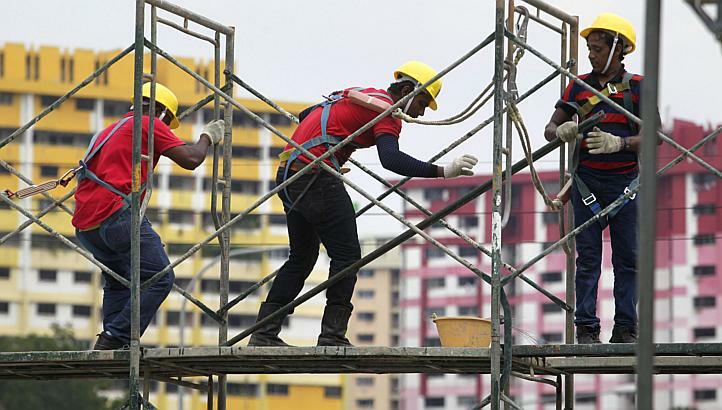 The ministry know that they are looking for ways to improve the lives of foreign workers. For example, the ministry will intensify penalties for companies that fail to compensate the workers. Apart from that, the ministry is very keen on doubling the maximum penalties for companies or employers that break work pass conditions.